For all its global pretensions, Djibouti heavily depends on Ethiopia for fresh produce, electricity, and even water. 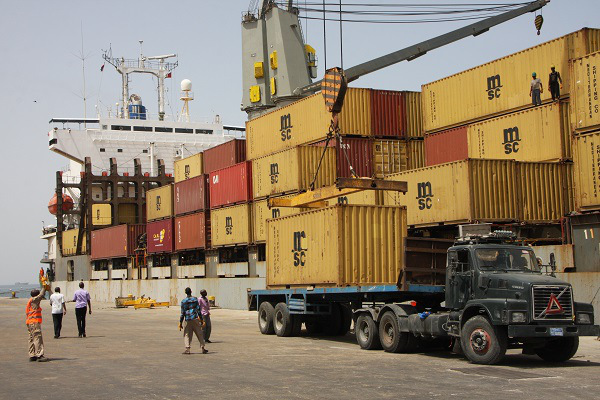 Landlocked Ethiopia, in turn, relies on Djibouti’s port to handle a full 95% of its imports. That helps explain why the two countries have gotten busy exchanging stakes in their respective public enterprises and deepening integration between their economies over the past several weeks, building off Chinese initiatives to establish better infrastructural links between Addis Ababa and Ethiopia’s primary port. Djibouti may soon be the proud owner of shares in Ethiopian Airlines, while Ethiopia will be part-owner of the Doraleh Container Terminal. In a region beleaguered by conflict, Djibouti’s relative stability is a major part of its strategic appeal. Like Djibouti, Somaliland is a small coastal nation that has kept the violence plaguing the rest of Somalia at bay. The Ethiopian state had been trying to attract the investment needed to build up Berbera for years, tirelessly lobbying the United Arab Emirates to provide the resources Ethiopia itself could not provide. Finally, in May 2016, Dubai’s DP World signed an agreement to build and manage Berbera port for 30 years. This past March, Ethiopia acquired its own 19% stake in the port. For Ethiopia, the dynamics of the deal are perfect. These deals have helped Somaliland secure some of the international recognition it craves, all while infuriating Mogadishu. Boosting the international credentials of Somaliland helps maintain the status quo in a weakened Somalia and reinforces its own regional dominance. At the same time, the new port further isolates Eritrea. Domestically, a new outlet for trade serves Ethiopia’s largely export-driven growth strategy and helps Addis Ababa maintain the title of “fastest growing African economy” and connect the rest of Ethiopia to the primarily Somali east. The investment in Berbera is turning out to be a win-win for Ethiopia, but the same cannot be said for DP World. This past February, Guelleh’s government took the abrupt step to seizing Djibouti’s Doraleh Container Terminal back from DP World, which had been managing the terminal since 2006 under the terms of a 30-year concession. The dubious pretext to the seizure was that the contract, signed over a decade ago, damaged Djibouti’s national sovereignty. More realistic was Djibouti’s accusation that DP World was investing in “rival facilities”, a direct reference to Berbera. Washington, along with the global public opinion, saw the influence of China at play and feared Djibouti was preparing to hand control of the terminal over to Beijing. The regional dynamics behind the move, and especially Ethiopia’s role, went largely unreported. Djibouti is also hedging its bets. Guelleh has gone all-in on his warm embrace of Chinese capital, visiting Beijing regularly and stresses that Djibouti is a “great friend of China’s”. From the Doraleh Multipurpose Port project to the Hassan Gouled Aptidon international airport, Djibouti is sinking further and further into China’s debt – fuelling American fears that Washington’s core interests in the region are at stake and prompting economists to warn of an inescapable “debt trap”.